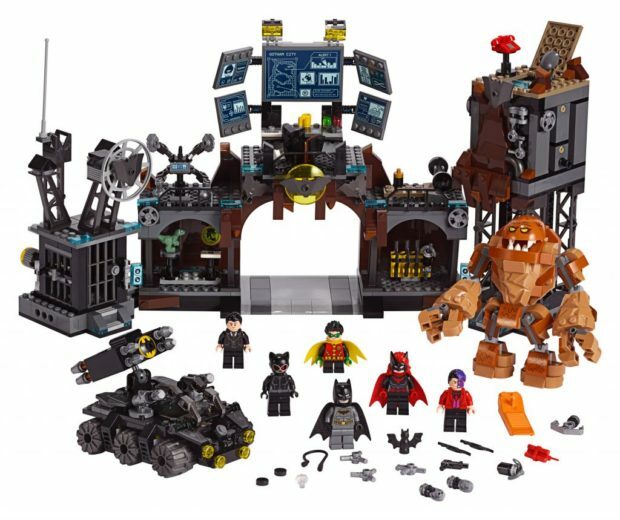 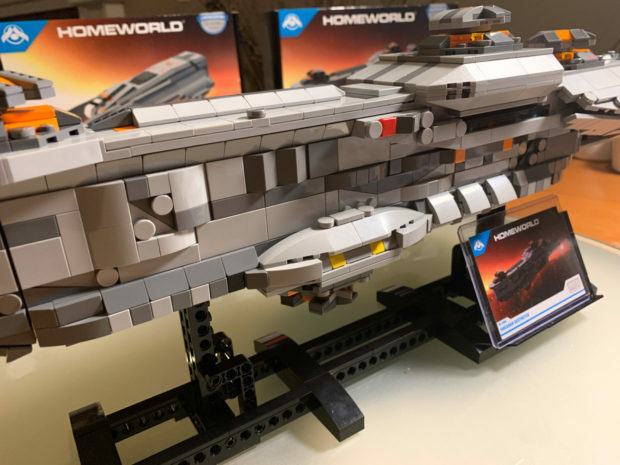 LEGO enthusiasts who are fans of the Homeworld franchise will be happy to know that there’s now a series of officially-licensed collectible kits inspired by the classic real-time strategy video game series. 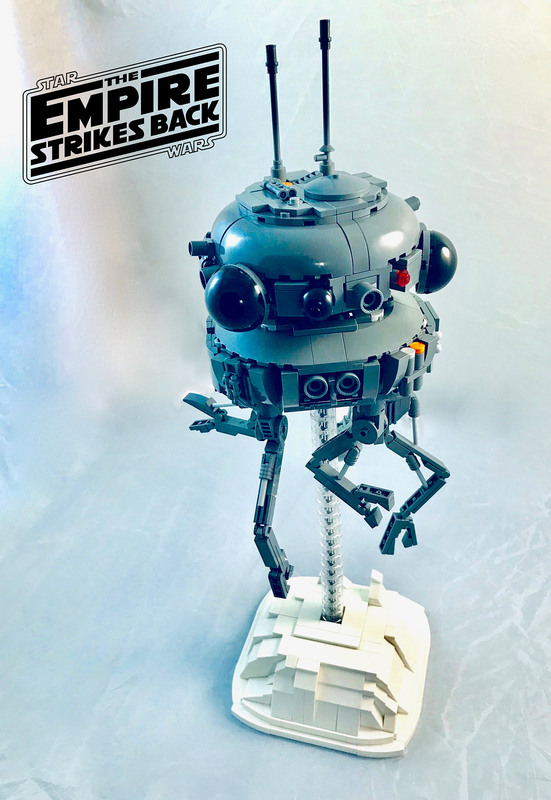 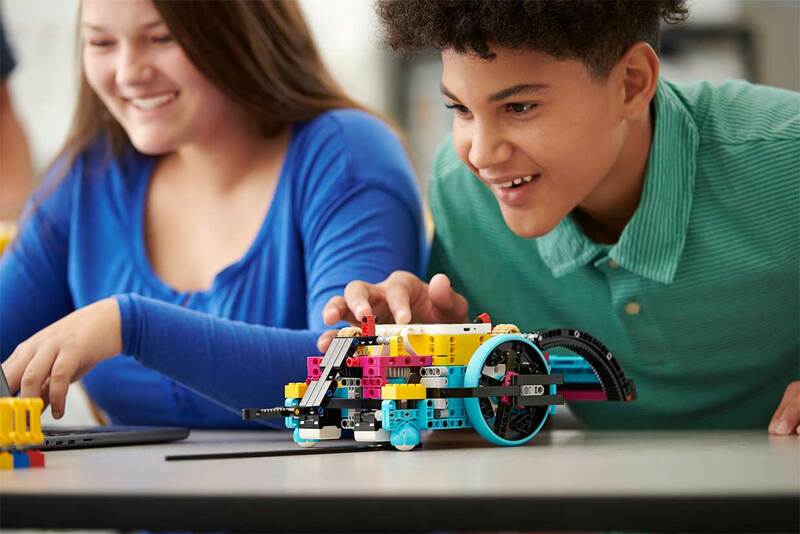 These are the first ever models to be created by Brick Formation, a new startup focused on making premium, limited-edition models using authentic LEGO components. The initial series of models were designed by LEGO artist Aaron Fiskum, and inspired by the Hiigaran fleet in Homeworld 2. They include a 500-piece, 12″ long Interceptor, a 705-piece, 15″ long Ion Cannon Frigate, and a 20″ long, 1365-piece Destroyer, each approved by the folks at Gearbox Software. Each spaceship is made to closely resemble the digital models from the video game. 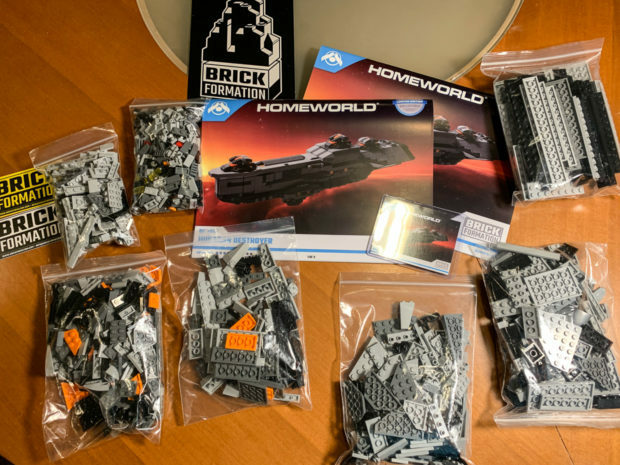 Parts come packaged in resealable Ziploc bags, which are not numbered, increasing the challenge of the build. 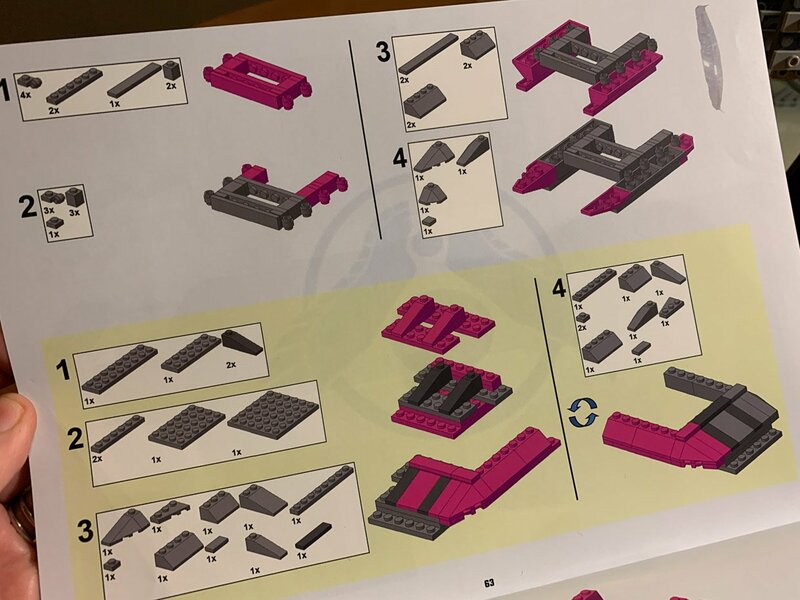 Given the shear number of parts, I was curious to know how Brick Formation ensures all the right parts are picked and shipped in each kit. 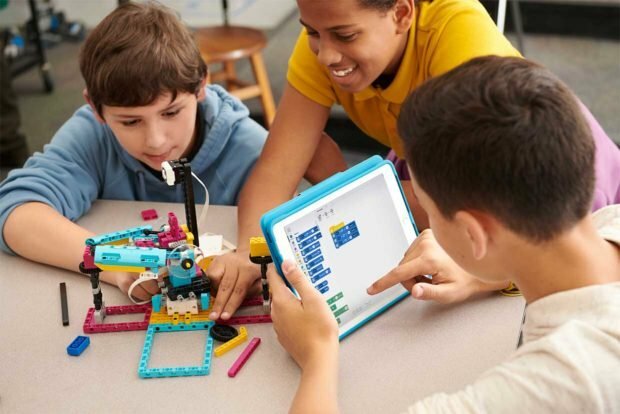 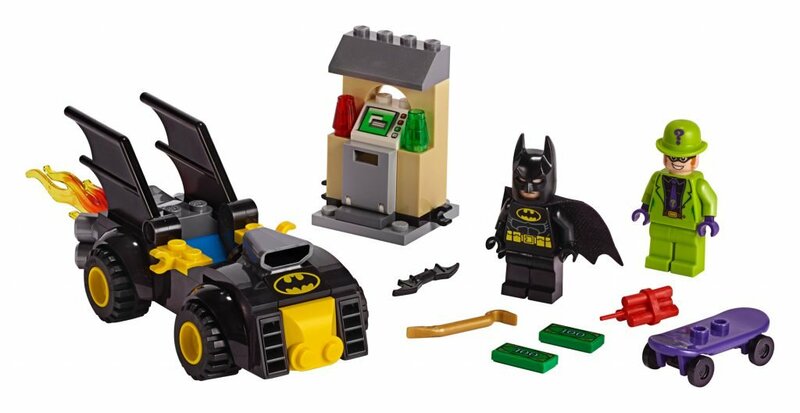 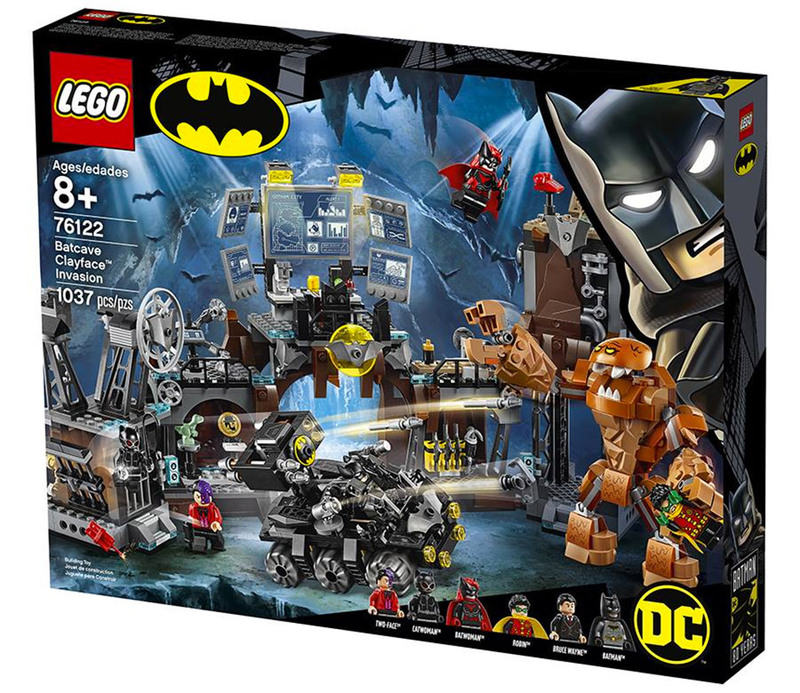 It turns out they work with BrickVibe, a US-based BrickLink store to source all of the bricks to match their design specs, then hand-sort and count each and every part, verifying their work through a strict quality control process. 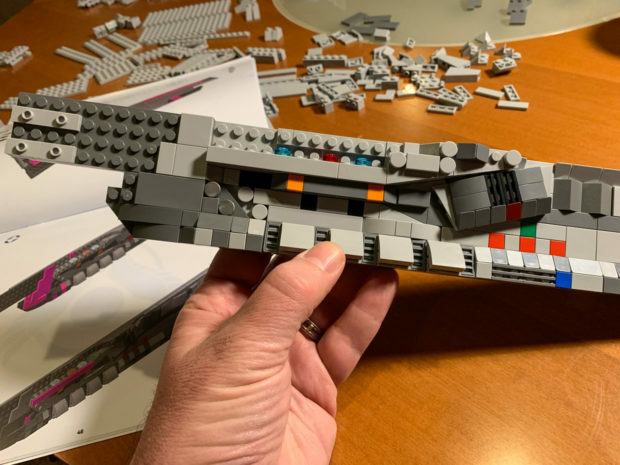 As is often the case with spaceship models, there’s a sea of grey bricks to work with, which also adds to the difficulty level of the kits. 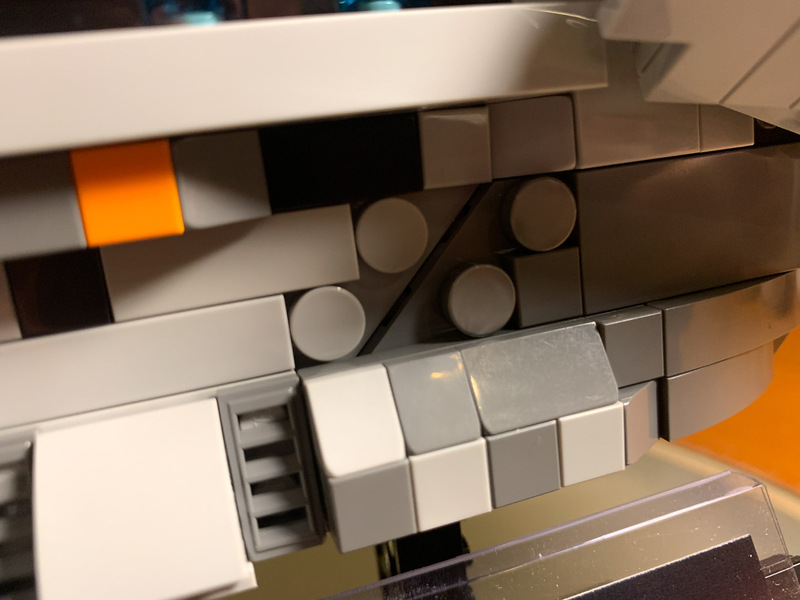 There’s just a splash of color here and there, like with the orange parts used to make the turrets on the Hiigaran Destroyer. The build instructions that Brick Formation includes are easy to understand, and use colorful hot pink highlighting to indicate exactly which parts are being added during the current step. As is often the case with LEGO instruction books, it’s sometimes a little hard to tell the difference between shades of grey, so it’s important to look carefully before picking your bricks at each step. 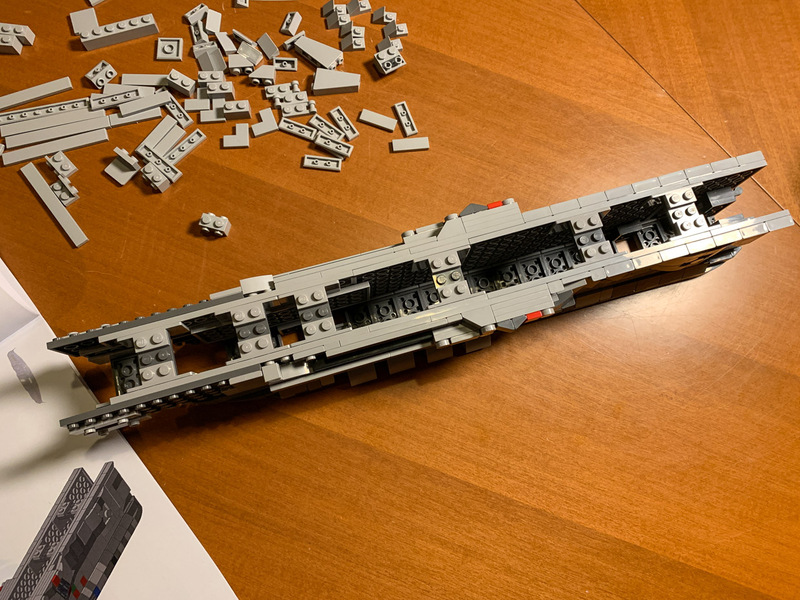 I made a couple of mistakes along the way using dark grey instead of light grey pieces, and had to backtrack to fix my errors. 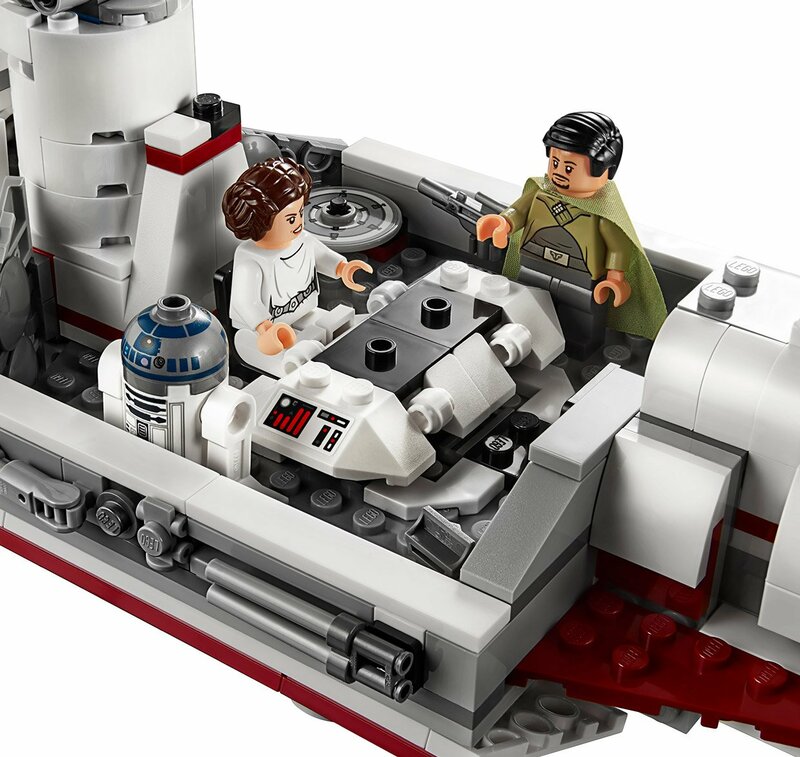 The exterior of each spaceship is packed with texture, using a variety of smooth-faced LEGO parts attached to longer baseplates. 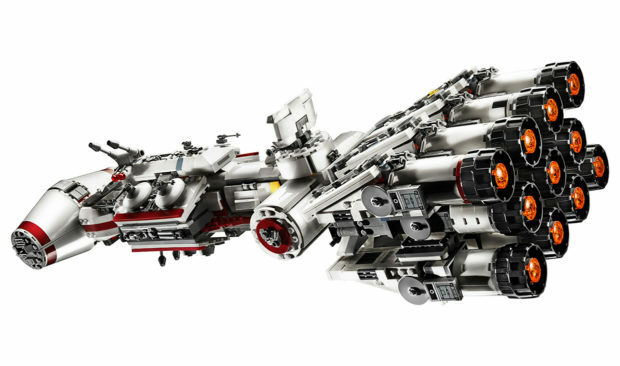 This gives the models a look as if they were built from sections of tile, along with the various bits of mystery tech that dot the outside of every sci-fi vehicle. 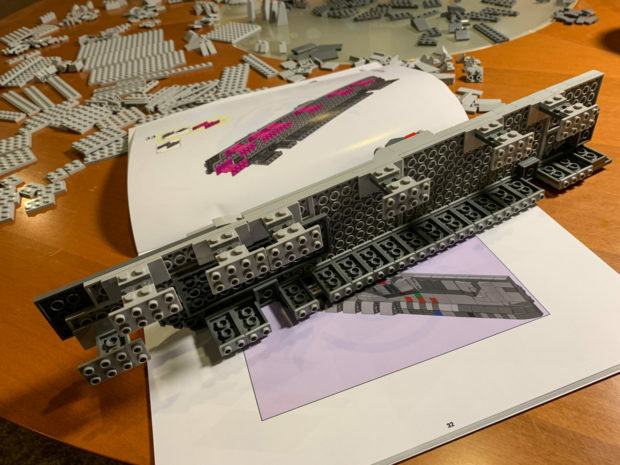 As I got further into the build of the big Destroyer model, it became clear that the design was very well thought out, not just for aesthetics, but for structural stability. 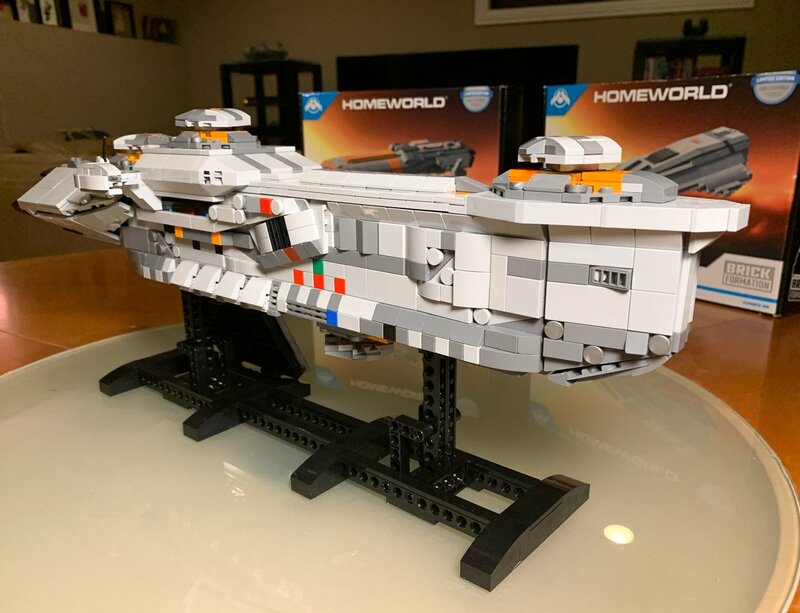 For example, the numerous short beams you build to hold the two main side panels of the ship together provide excellent support. 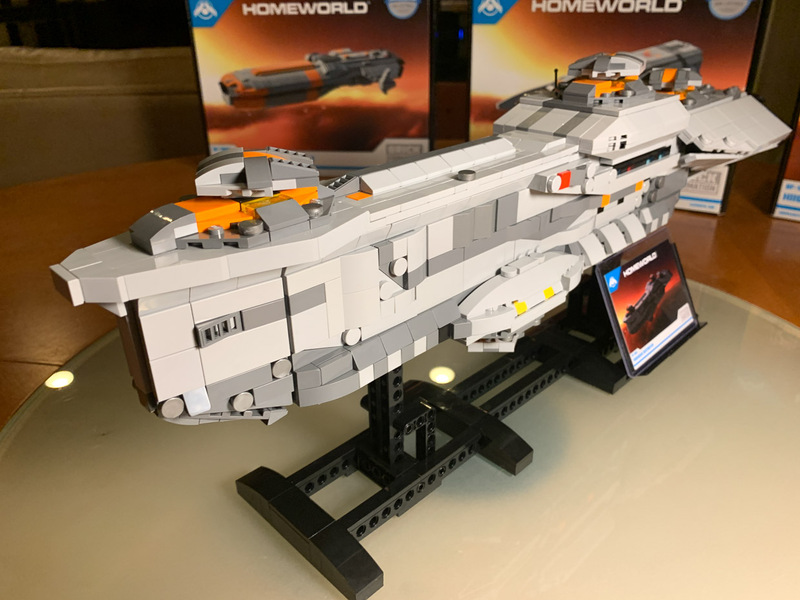 Each model includes a sturdy display stand too, along with a display card that lists specifications for the ship on the back of the card. 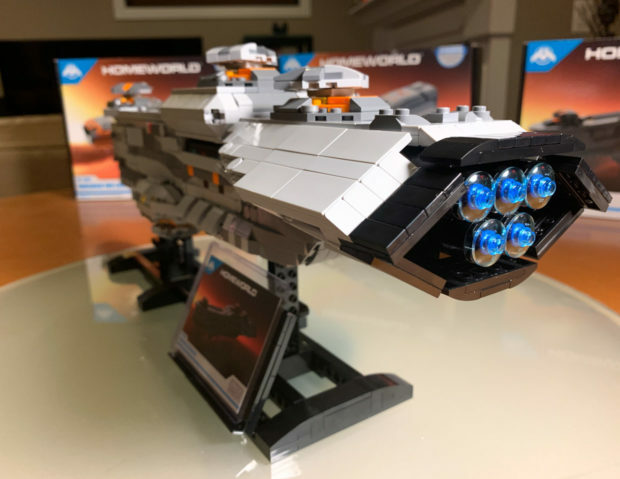 Since they’re being made in very limited quantities, these kits aren’t cheap, with the Hiigaran Interceptor going for $250, the Ion Cannon Frigate selling for $300, and the Hiigaran Destroyer priced at $575. 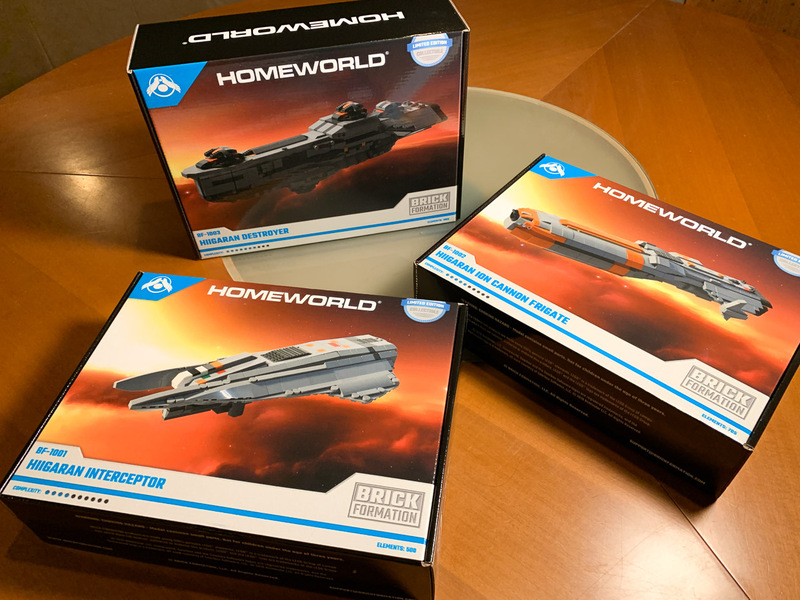 Just 100 of each model is being produced, making them extremely collectible. 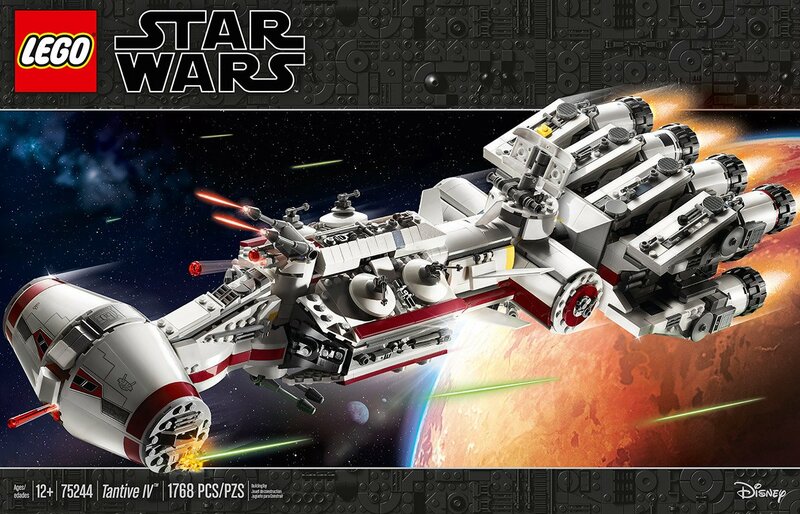 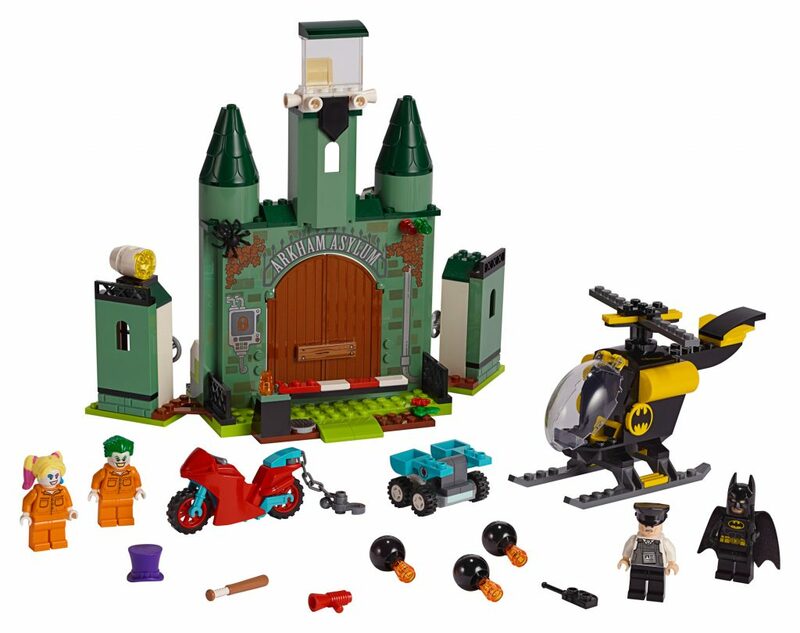 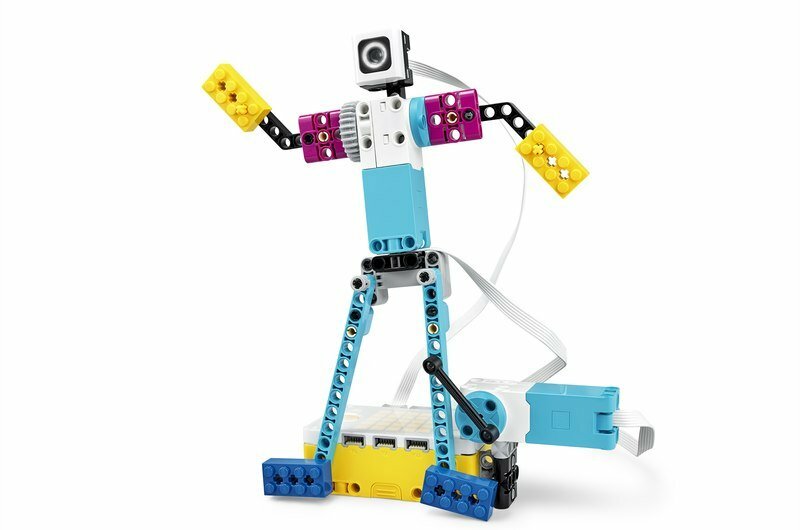 The models are definitely not for beginner LEGO builders, with a medium to medium-high level of build complexity. 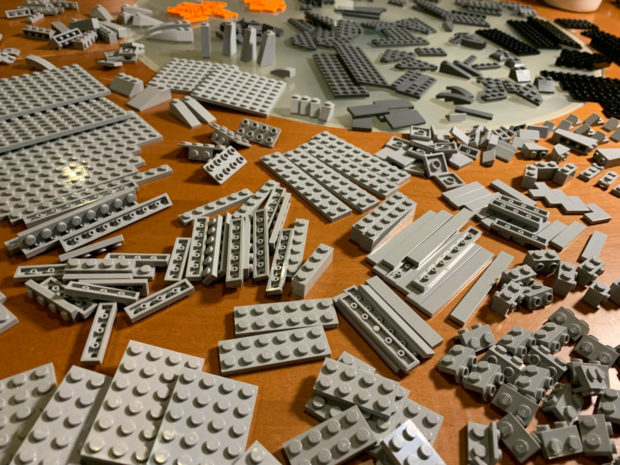 I’d say that’s mostly due to the volume of very small pieces, along with the monochromatic color scheme. 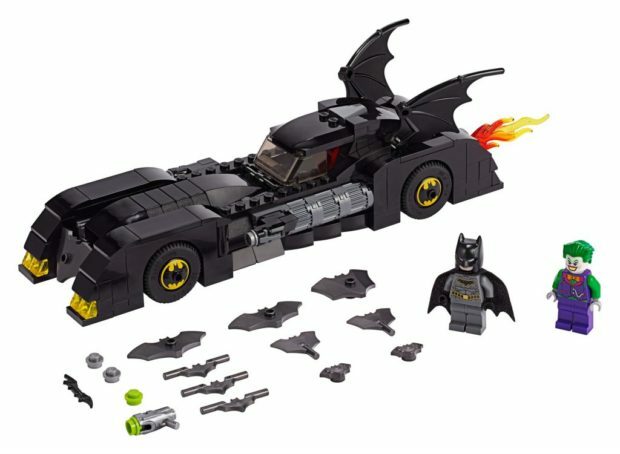 But with time and patience, they’re definitely do-able. In the end, it took me about 8 hours to build the 1365-piece Hiigaran Destroyer model from start-to-finish. 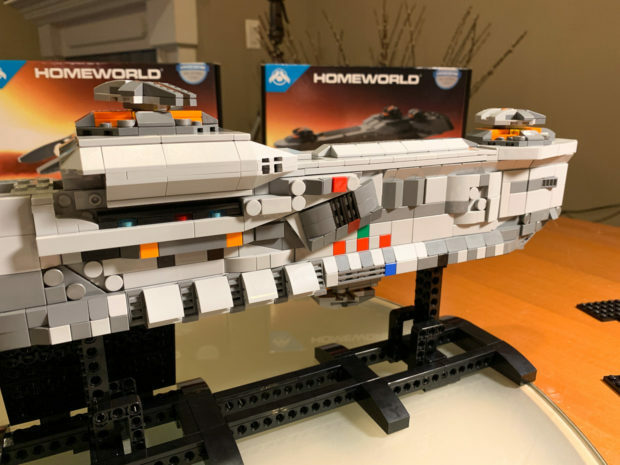 All three of the initial Homeworld models are available on the Brick Formation website. They plan on releasing additional models from the Homeworld universe in the near future, including more spaceships, as well as vehicles from Homeworld: Deserts of Kharak. They also hope to launch other licensed kits down the road as well.